The video: Look at all them ducks! 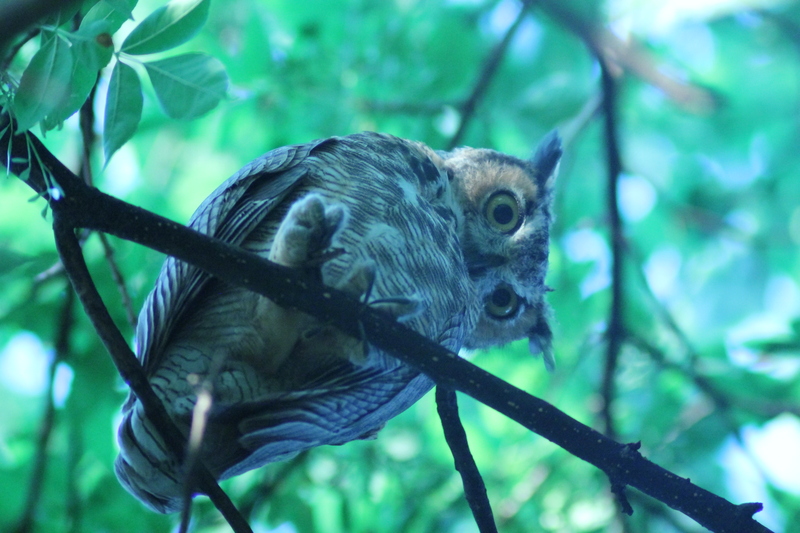 Reader Chris Winstead sent a photo of a Great Horned Owl (Bubo virginianus). This is, I believe, a great horned owl. They were nesting in my neighborhood during the summer, and visited my yard most evenings. These photos were taken from my back doorstep. There were at least two babies and a mother. I didn’t capture any photos of feedings, but did observe some feeding, grooming, and pellet deliveries. These shots were taken during a June visit to Tamarac National Wildlife Refuge in Minnesota. 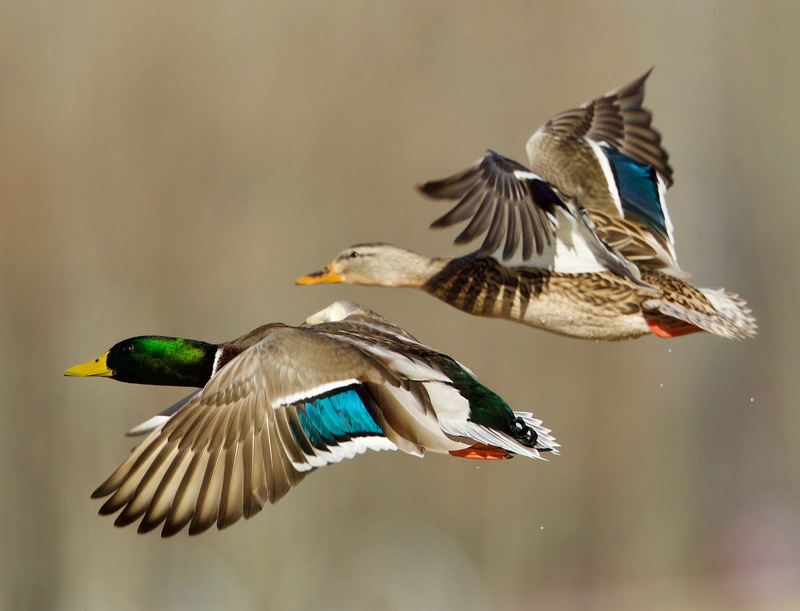 Tamarac is covered with isolated, shallow, glacial lakes ideal for the breeding of water fowl. 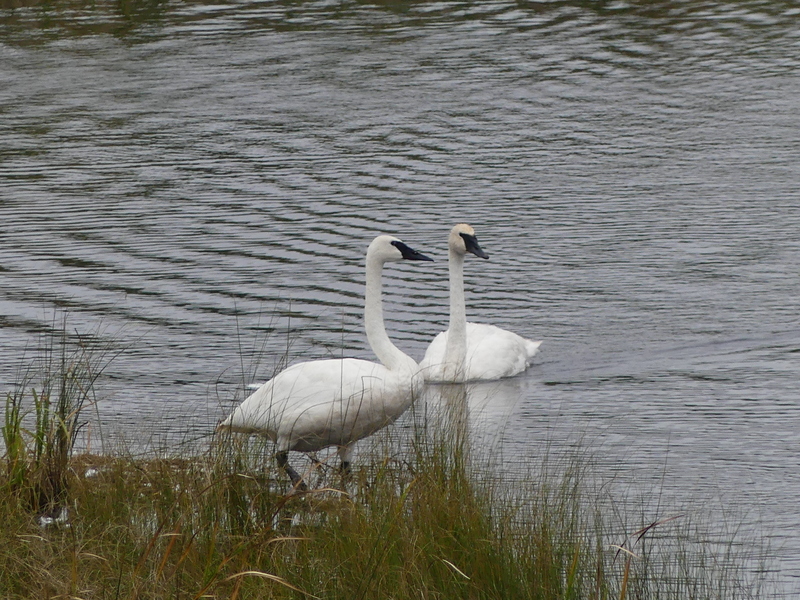 Trumpeter swans (Cygnus buccinator) are common in the summer. 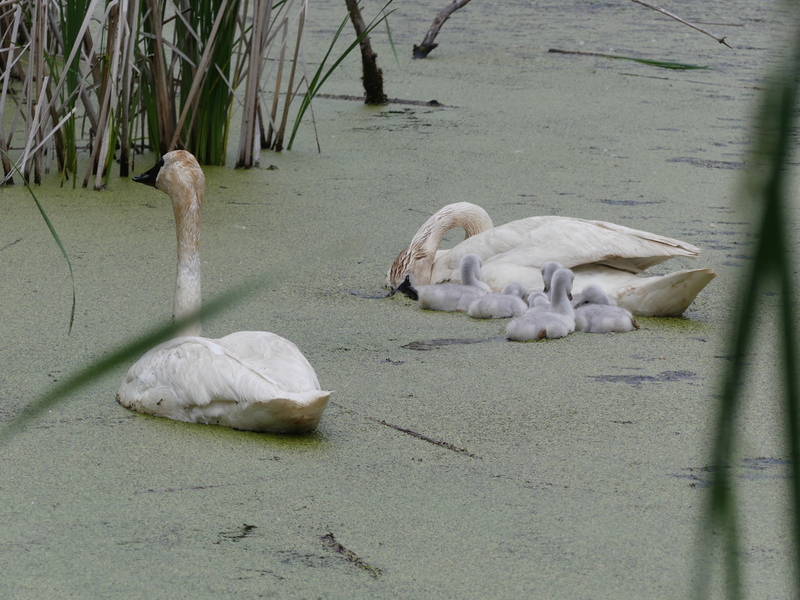 but cygnets are normally kept well out of sight. These are one of the most massive water birds and are very aggressive in protection of their nests and young, having been known to kill raccoons and foxes. 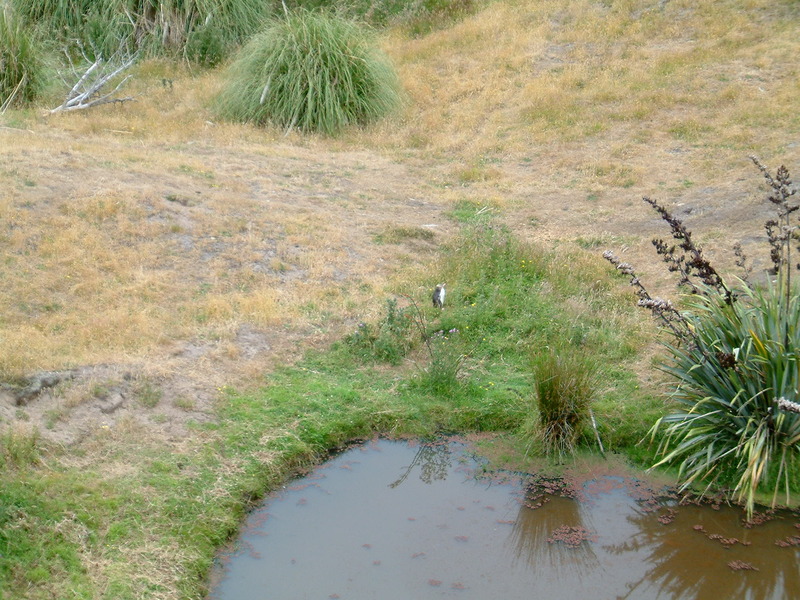 Trumpeters often dabble to reach submerged vegetation including roots and tubers. 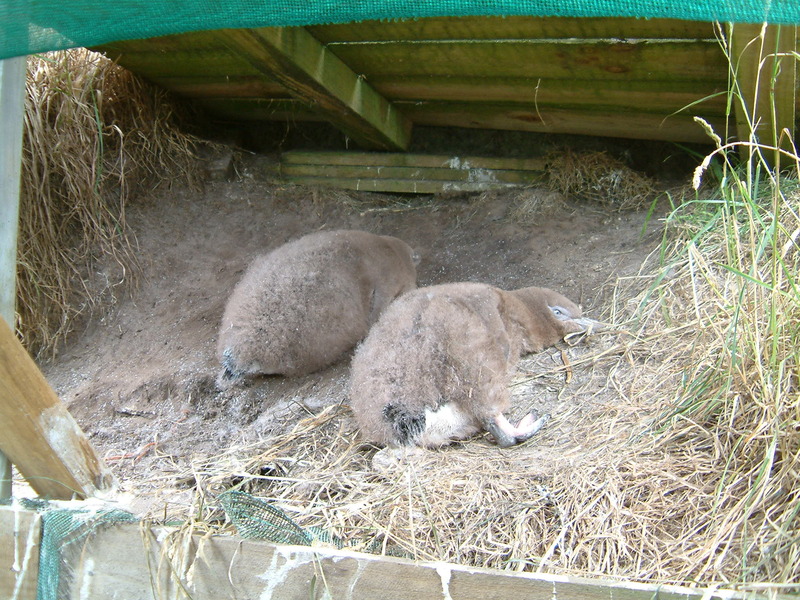 A pair with six cygnets is seen below with their necks stained by feeding. The cygnets stayed very close to the larger male. A good idea since snapping turtles are common in these lakes. This entry was written by whyevolutionistrue and posted on November 17, 2018 at 7:45 am and filed under birds, ducks, wildlife and nature videos. Bookmark the permalink. Follow any comments here with the RSS feed for this post. Both comments and trackbacks are currently closed. Wow. Look at those ducks. Nice pictures! There is a large pond near where I work and I always crane my neck when I drive by, looking for the pair of swans that live there. Beautiful birds! The first photo is gorgeous. A fuzzy penguin!? I guess that’s the “recapitulation” (weakly understood) again.